Many people who care neglect of musical instruments. for example guitar. We assume normal when motorcycle, car, computer and other things we care. But, what about guitar? often we ignore it. Here there some tips about ggitar care that needs to be noticed by the owner. Just like humans have a home, as well as need a guitar case (bag). this aims to protect them from impurities that exist outside or collisions. Indeed, some guitar cheap and often played unnecessary given the case, but If you are a guitarist who Like a concert, or traveling to bring your guitar. Case there are two guitars, a hard atai soft, like a cover of a book. Hard-case is usually made of wood or plastic that is strong enough and thick; very safe for protect the guitar. This fitting is owned the guitarist is often touring and traveling. we around. Suitable for use if we do not too often traveled and for those who frequent the studio to practice. If your guitar not played, you should always keep it inside case. At least once a week, clean your strings. the researchers assume that while playing the guitar, without human conscious issued sweat quite a lot of hand. This is because the work brain and hand gestures that quite draining. this rarely recognized by the guitarist. Look at your guitar, whether a lot of dirt on each limited surface of each fret it (fretboard)? it due after playing, your guitar strings exposed to sweat you; also dirt, dust and others. If you are not diligent cleaning the strings, then also there will be rust on the strings You. And a few strings rkarat will damage your guitar fret so later on you discovered several vein You learned on your guitar shrill voice, because strings touch the frets, fret are eroded. Guitar strings can be cleaned wipe with a material way shirts are soft. If necessary wetted with the liquid string cleaner (cleaning strings) which available at music stores. 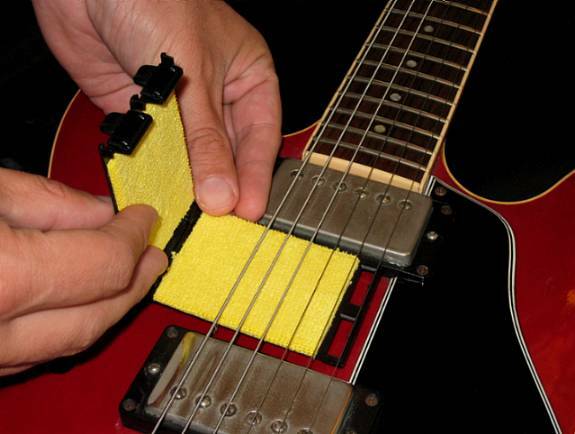 Clean your guitar strings in all parts of the strings. Besides cleaning the strings, You also need to relax Your guitar strings when no longer used because you traveled for so long out of town, for example). This intended to make your guitar neck not curved. Guitar strings set is the rope that tightened, and the tension This will draw the two sides tense. On guitar, traction due to tension lines can bend the neck, despite the odds. stage show contains musical instruments, to remind all to put the guitar player correctly. Means sleek shiny, so people who see it said, "Pretty good!" or, "Cool!" How? Rag your guitar with jersey material, good body, neck, strings and all parts of the guitar. To the pick-up under the strings is rather difficult to clean dust, can use paint brush. also be ungodly, and damage the guitar fret. In addition, radius we can also hurt. Not to mention that the string was broken and then injuring his hand us. Well, the doctor said that if rusted objects can disease infects Tetanus know. The danger is not it? Still mending hands of a taxable ... if the eye? It could be Asep Cadence! Get used to replace you a set of guitar strings at the same time, 6 pieces. This is to prevent color spots Among the new voices and strings long strings. So if your strings long and broke up one only, it is advisable to change everything. manjadi crust. Each of you says if rusted objects can disease infects Tetanus know. The danger is not it? Still mending hands of a taxable ... if the eye? It could be Asep Cadence! only, it is advisable to change everything. manjadi crust. Each of you replacing the strings, all clean up his fretboard. Remember, when you clean fretboard, use objects a blunt, do not taper. Use, for example, guitar pick, not a knife. Because when using sharp items dikuaturkan will erode his fretboard as well. Then after clean, wipe again with a material T-shirts. Yngwie Malmsteen, guitarist metal wing neo-classical rock famous, is one of guitarist who likes to slam or burn his guitar while concert. Do not be imitated, yes. The technique may, but if slam-slammed, whoa. techniques from Paul Gilbert, for example, so that it becomes upset, keep cool. Remember, guitar not the cheap stuff . 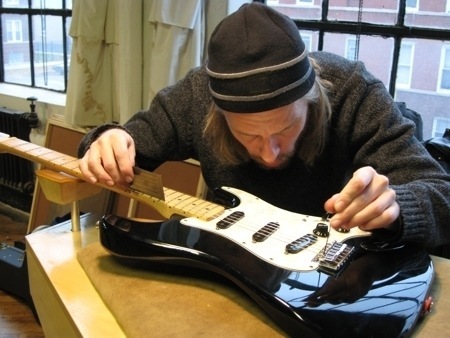 Thus some tips about caring for the guitar. 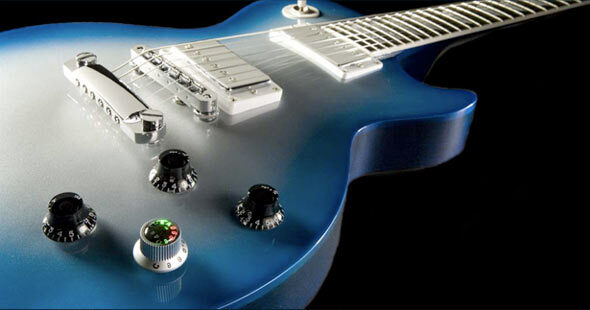 That Finally, if your guitar is damaged, search for information in shops music people who provide guitar service services.